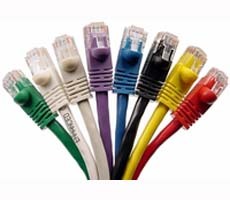 Our Category 6 500Mhz cables feature a center spine eliminating cross talk between the 24 AWG twisted pairs and staggered connectors to reduce near end cross talk. 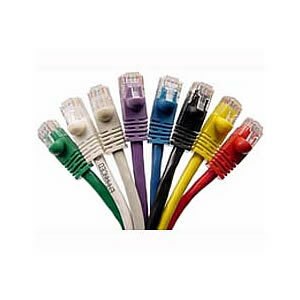 These cables meet draft 11 of the TIA/EIA CAT 6 standard and supports current and future Cat6 networking applications. Made from 24AWG stranded category 6 cable with a PVC jacket.